Book This Combo & Save £11! See London’s most beautiful landmarks and locations from the top deck of an open top bus tour through the heart of the capital. Dropping you to all your favourite and most-anticipated places including the historic Buckingham Palace, the tremendous St Paul’s Cathedral, the sparkling Shard, the London Eye, Westminster Abbey and many more. With 24 hours to hop-on and off as you please, you’ll get to explore the best of the capital without the stresses of the London underground! Throughout your onboard adventure, you’ll get to enjoy audio commentary giving you fascinating insight into London’s rich history at each location. It’s the perfect way to do city sightseeing without a big budget. Test your nerves at one of London’s most famous (and terrifying) attractions – the London Dungeon. Venture deep into the depths of the Dungeon and hear the torturous end that Guy Fawkes came to, the sights, sounds and smells of the Great Fire of London, visit the Demon Barber of Fleet Street’s Barber Shop (beware of Sweeney Todd!) 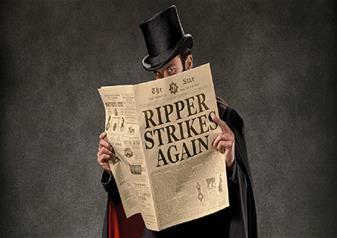 and have your wits about you as you follow in the footsteps of the notorious Jack the Ripper. With plenty of shows, sets, special effects and rides bringing your immersive experience to life, you won’t be forgetting your visit to the London Dungeon any time soon! With your hop-on hop-off bus tour ticket, you’ll receive a free walking tour of your choice. Choose between the Royal Walking Tour with Changing of the Guards to discover more about the world-famous British monarchy and the longest serving English Queen, Queen Elizabeth II or opt for the Beatles London Walking Tour showing you the famous four’s haunts in the capital. *Free River Thames Hop-on-Hop-off valid for 24 hours from when you first hop-on the boat with unlimited usage within the 24 hours and only to be used between Westminster Pier and St Katharine’s Pier.